Last year, the school district in Evansville did something unheard of. They had five schools consistently receiving F’s from the state, and some of those schools were performing so poorly that the state was on the verge of taking them over. So the superintendent, teachers union and community came up with a plan that is exceeding expectations: they accepted that some of their schools needed intervention and made themselves open to help. 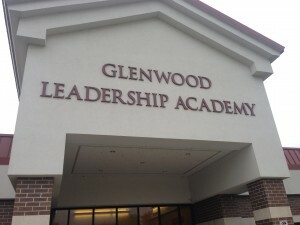 One of those five schools, Glenwood Leadership Academy, is showing rapid growth and could serve as an example for other schools in similar situations. GLA has been in the Evansville-Vanderburgh School Corporation’s “Transformation Zone” for one complete school year, and now that it’s almost halfway through this current school year, the State Board of Education thought it was a good time for a check up. “Glenwood Leadership Academy, I don’t think under my definition, is not a failing school anymore,” board member Tony Walker said. After years of EVSC schools receiving F’s under the state accountability system, superintendent David Smith recognized something needed to change. “When I was appointed superintendent I knew that continuing to do the same thing and then expecting different results was not a good way to do business,” Smith said. [pullquote]Two years ago, around 21 kids were sent to the office every day for behavior problems. Today, the average is 2. [/pullquote] Instead of waiting until the schools received F’s for the sixth year in a row, which is when the State Board of Education typically intervenes in a failing school, Smith did the unexpected: he intervened on his own district before the state could. So they intervened on themselves, but how do we know it worked? Although their ISTEP scores didn’t increase much this year, there’s more going on at Glenwood that signifies improvement. Two years ago, around 21 kids were sent to the office every day for behavior problems. Today, the average is 2. They also saw a 25 percent increase in third grade IREAD scores. 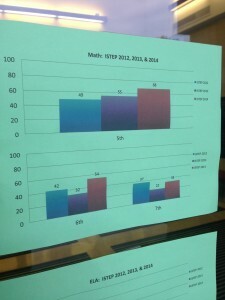 And the most promising statistic, the number of kids within 20 points of passing both sections of the ISTEP is climbing. To achieve these dramatic results in just a year, leaders in the Transformation Zone attacked the problem with multiple strategies that weren’t all focused on ISTEP+ preparation. For one, they increased community partnerships. One of those partnerships is with the local chapter of the AARP. Volunteers come to classrooms a few times a week to tutor students or being another person to turn to for emotional support. The district also gave teachers the opportunity to opt out of teaching at a failing school if they did not want to devote their energy to the Transformation Zone goals. For the teachers who chose to stay, the Transformation Zone provided mentor teachers for additional support. GLA first-grade teacher Toni Hamilton is one of those mentor teachers, and spends half of the day helping other teachers make lesson plans, co-teaching if asked and providing emotional support. “It’s a challenging school to work in,” Hamilton said. “That’s one of the reasons the set up we have is so important, so they have that extra set of hands.” Another tactic is to make the students take control of their own learning and progress. 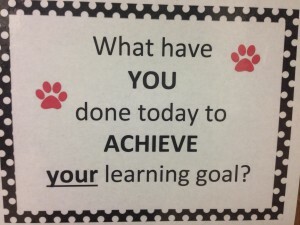 Posters all over the school ask “What have you done to reach your goals today?” and posters on the front door of the school greet students each day with ISTEP progress over the years as well as this year’s goal. Hamilton says this ownership of goals is a huge change in the school’s culture. “But now when you walk into classrooms, kids know what their reading goals are. They know what their acuity scores are. They’re proud to show you ‘Hey I just looked at my data tracker and I want to show you what I’ve been doing. '” As successful as the program is working for Glenwood Leadership Academy and other schools in EVSC, everyone realizes this model won’t work everywhere. The main reason being everyone involved in the turnaround process has to work as a team and not as two sides to one battle.